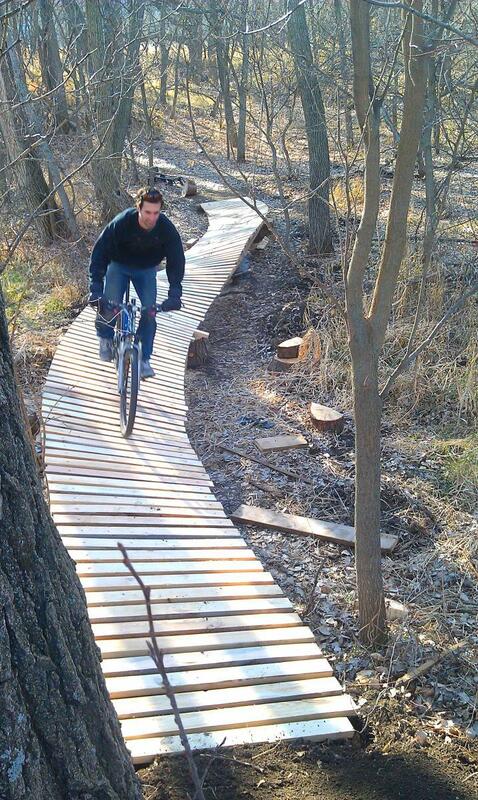 Counterclockwise stacked loop trails. From trailhead, keep right and follow trail. North and south loops can be ridden with or without center technical section. A: Absolutely Its worth a hour drive !!! You wont be disappointed I would drive a couple hours easy to ride here. 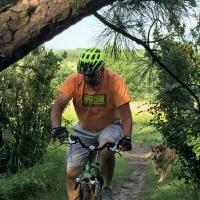 Review: Just over 7 miles of well maintained trail. 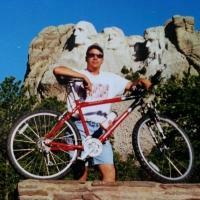 I have over 200 miles this summer on that trail alone. heavy woods, open pasture, a few good tech stuff. Overall, a real good trail. Oh, and not a lot of traffic. It's worth the time to get there. 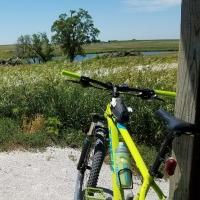 Review: Best trail I've been to in Nebraska. Extremely well taken care of. I dont know who does the work but it's a great time! I drove 120 mi miles on a wed after work. Totally worth it. Review: Fun trail, sections where you can get speed. Wood features. Great signage. Definitely will ride if in the area. Nicely maintained and mowed by local volunteers. Review: Drove all way from Sioux Falls, SD and it was a worth trip to enjoy the ride! Review: Nothing too technical. Very pleasant ride with beautiful scenery! Trail has some good climbs, nice downhills, some obstacles and pure enjoyment.. Perfect condition on 5/3/14 plus they've added a new loop! Thanks to all that maintain this! Review: Nice flowing singletrack. Some climbing but fun for everyone. Maskenthine Lake MTB Trail 4.63 out of 5 based on 8 ratings. 8 user reviews.